News sports columnists Bucky Gleason and Jerry Sullivan went guest-heavy on Monday night's "The Bucky & Sully Show" on WBBZ-TV, interviewing News sports reporter Jay Skurski in the first segment, then welcoming former Nichols School, Duke, Olympic and NBA star Christian Laettner by phone for the second. 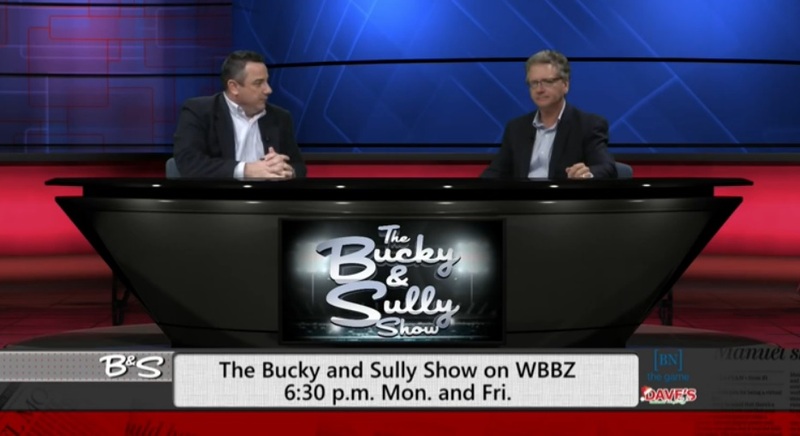 Below, you can watch the April 27 "Bucky & Sully Show" by segment, which aired originally on WBBZ-TV. Segment 1: The hosts chat with Jay Skurski about the NFL Draft, which begins Thursday. What kind of options will the Bills have when they pick at No. 50 on Friday? How likely is it that a guard is the choice? Bucky and Sully ask why Cyrus Kouandjio was such a disappointment in his rookie year. Segment 2: After answering a frighteningly easy trivia question that gets Bucky blowing steam out of his ears, Christian Laettner -- one of the best basketball players ever to come out of Western New York -- calls in to the co-hosts to talk about his summer basketball camp, his reaction to the ESPN "30-for-30: I Hate Christian Laettner" as well as Duke's NCAA Tournament title. Segment 3: Bucky and Sully chat about some of the lopsided series in the NBA Playoffs' first round, while Sully admits some concern about the Spurs. The pair discusses what Kevin Love's shoulder injury means for the Cavs' chances in the East. Final segment: Bucky teases Mike Harrington's Sabres press conference column, then the hosts exit by pumping up the Capitals-Islanders Game 7.